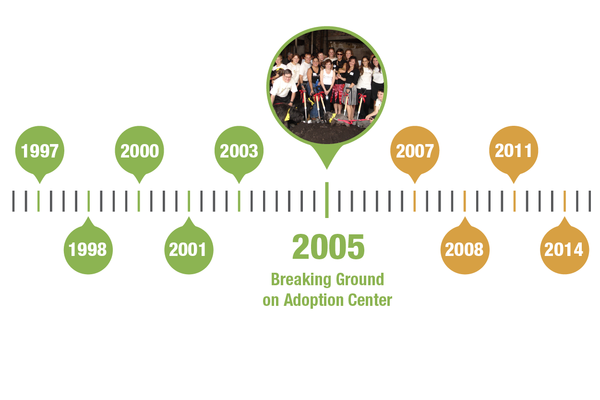 The critical path to bringing more people to the cause of homeless animals was opening an adoption center. 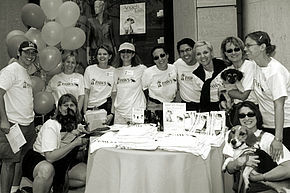 In September 2005, PAWS Chicago broke ground on the 13,000-square-foot Lincoln Park Adoption Center, designed to bring state-of-the-art No Kill sheltering to Chicago. Read the Chicago Tribune announcement. In anticipation of quadrupling adoptions with the new Center, PAWS also began construction to expand its isolation wards at the Medical Center above the Lurie Spay/Neuter Clinic. The new, expanded Medical Center proved essential to taking in and treating more sick and injured animals to prepare them for adoption.